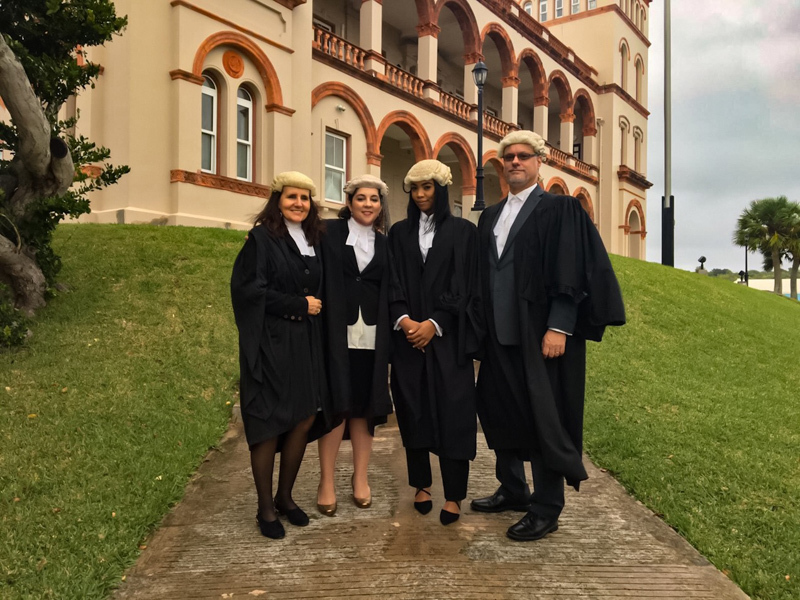 The Supreme Court was filled with colleagues, family and friends as Kimonea Pitt was called to the Bar before Chief Justice Narinder Hargun on Friday. Ms Pitt recently completed a year of pupillage at BeesMont Law, gaining experience in corporate, litigation and private client work, and is now a qualified associate in its corporate department. Ms Pitt addressed the Court explaining that her interest in law began early as at the age of 5 she told her mother that she wanted to be a lawyer when she grew up and later participated in debate at primary and secondary school. She graduated from CedarBridge Academy as a member of the National Honour Society and having attained several student achievement awards. Ms Pitt went on to study business management at London Metropolitan University for her undergraduate degree. 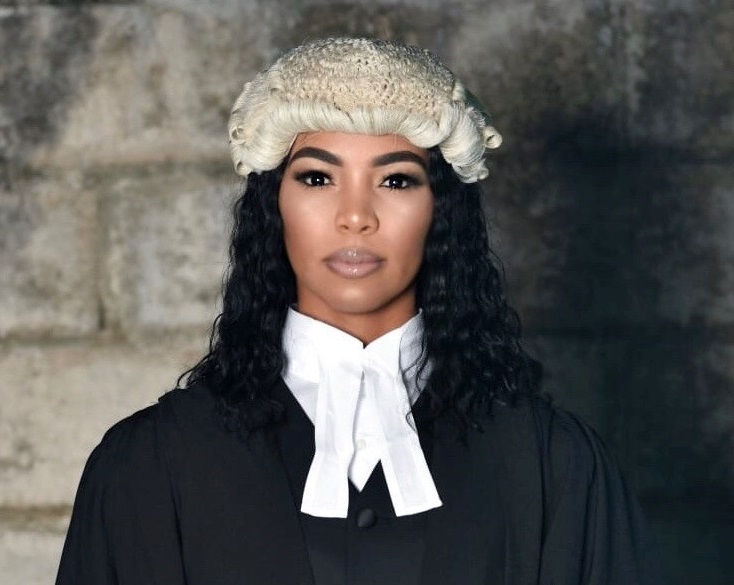 She then achieved her Graduate Diploma in Law with Commendation and Legal Practice Course qualification with Distinction from BPP Law School in the United Kingdom. Ms Pitt thanked her pupil-master Stephanie Sanderson, the co-founders of the firm, Sharon A. Beesley and Marco Montarsolo, her colleagues, the National Training Board, and mentor Barclay Simmons of ASW Law. She said: “Though I speak on my journey as if it was a smooth sailing experience, success did not come easy to me. There were many trials and tribulations along the way, from the stress, exam anxiety, countless hours of studying, and each year having to face the uncertainty of whether I would be returning to England to continue my studies due to financial hardships. Ms Sanderson, calling Ms Pitt to the Bar, spoke of her accomplishments, character and hobbies including a strong commitment to volunteerism. Ms Pitt indicated that the milestone event marks both an end and a beginning and that she is eager to continue on her legal journey noting that it is not a right, but an honour and a privilege, to practice law. Mr Montarsolo, Managing Partner at BeesMont Law, welcomed Ms Pitt to the firm saying: “We are proud to welcome Kimonea to BeesMont Law as an associate in our Corporate Department, particularly after having Kimonea as a student at the firm for several years.